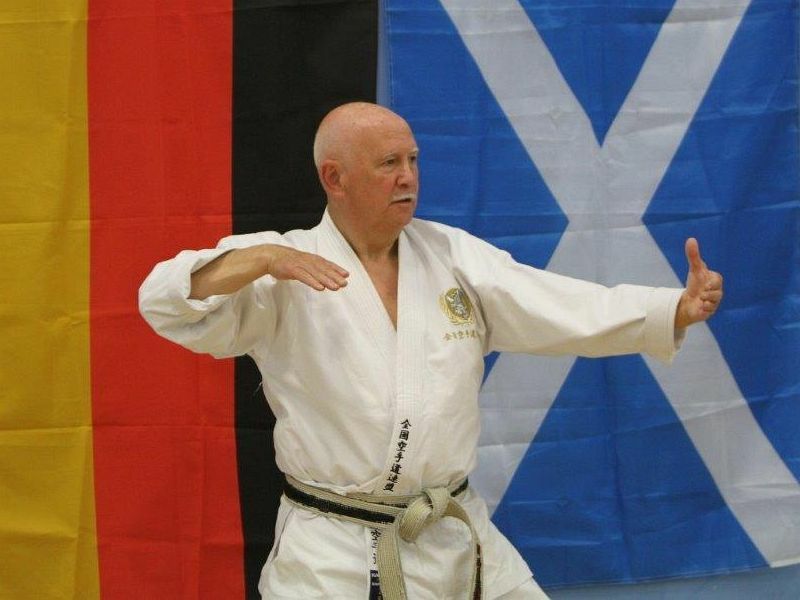 Aberdonian karate students will have great cause to celebrate this week with the news that their very own Ronnie Watt OBE ORS, chief instructor of the NKF (national karate federation) and director of Shotokan for the WKC (world karate confederation) has been awarded a 9th Dan black belt (Kudan). It is believed to be the highest ever Dan grade awarded to an Aberdonian or a Scotsman. 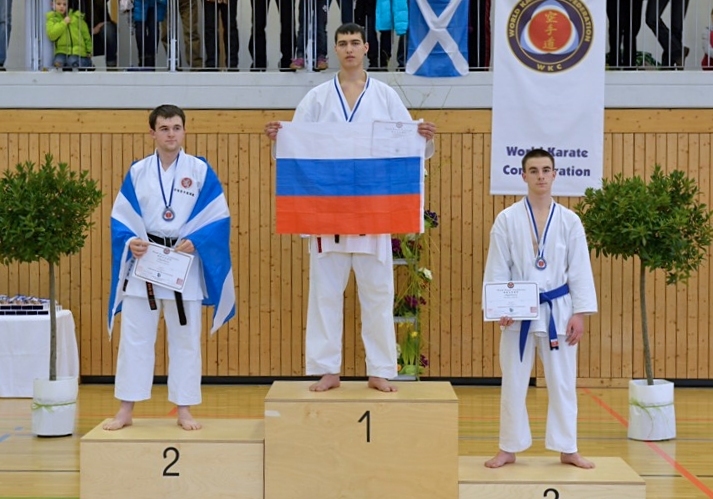 This is a major achievement for Ronnie and for karate in Scotland. Ronnie Watt’s name is already famous and well respected throughout the city of Aberdeen and the karate world. Being graded a 9th Dan Ronnie joins the elite ranks of the worlds most repected Karate masters. Obtaining a black belt is very difficult, very few people manage to train hard enough, it takes at least three years and most people give up, perhaps one in a hundred achieve a black belt. Some will go on and get a 2nd Dan or higher. However, it is almost unheard of to achieve a 9th Dan in karate. Very few manage to reach this level, most are Japanese and it takes a lifetime of training. This is a first for Scottish Shotokan Karate and it’s a great honour for the city having a home grown 9th Dan teaching and training karate, here in Aberdeen, Ronnie’s home town. 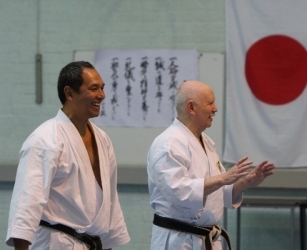 The 9th Dan will be presented to Ronnie by the International Shotokan-ryu Karate–do Shihankai (ISKS). 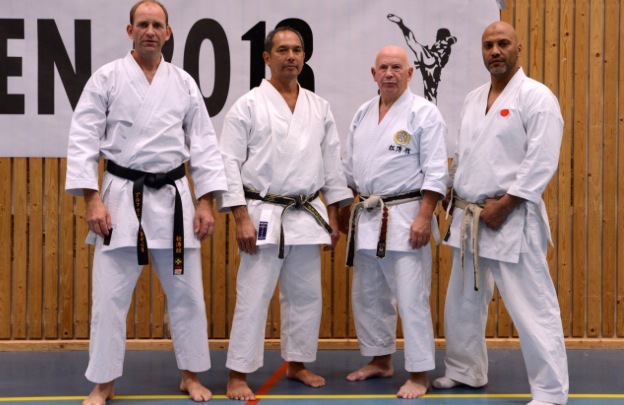 The ISKS was set up in 2004 by an international group of world karate masters to protect and maintain the tradition of karate, which they see is sadly being diluted by many outside ‘fashionable’ influences. 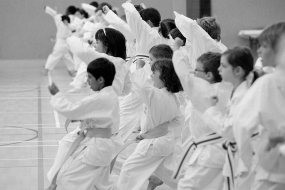 The ISKS is one of the most respected orders in the world of Karate today. 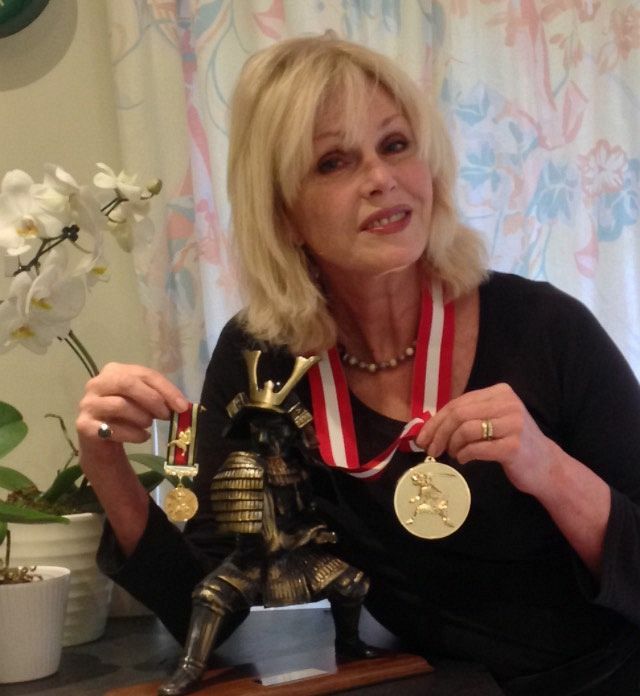 Ronnie who has trained karate ‘religiously’ as a way of life for 50 years was recently entered into the European Hall of fame for Martial Arts (November 2015). Ronnie has previously been awarded an OBE from the Queen. In 2010 was recognised by the Emperor of Japan with an Order of the Rising Sun – a very special award rarely given to foreigners. Ronnie joins good company with famous people such as Clint Eastwood, Gustav Eiffel of France, George Takei (Sulu, Helmsman of the Starship enterprise on Star Trek) Bobby Charlton, and ex UK Prime minister Sir John Major. 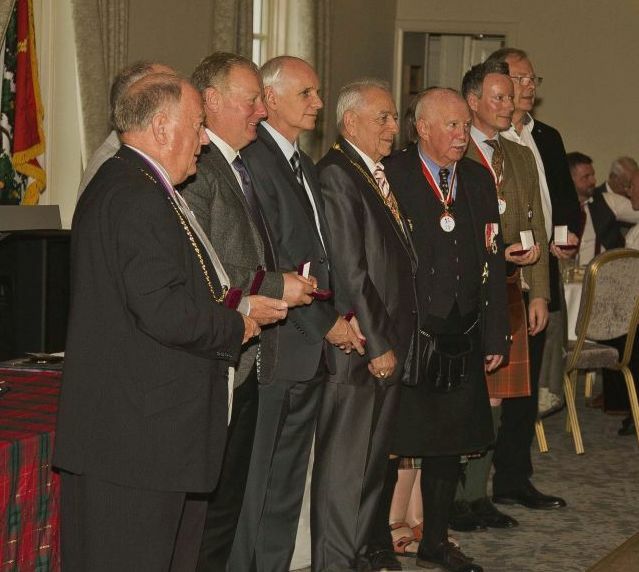 In 2014, Ronnie was awarded a Commemorative Medal of the Trnava Self-Governing Region (TSGR) of Slovakia by the TSGR’s president, Tibor Mikus for promotion of friendship between Scotland and Slovakia. Ronnie is also a Free Burgess of Guild member of the city of Aberdeen, (Freedom of the city) and is a banner bearer to the Knights of the Most Holy Trinity, who are a heraldic based charity organisation raising funds for good causes. “I’ve just loved karate, being karate. It’s what I’ve always done. The commemorative medal of Trnava Self-governing region (TSGR) was awarded to Ronnie on the 5th of September by the TSGR president Tibor Mikus. The award has an important place in the chivalry of the TSGR. “It only belongs to those whose contributions to society and human values are extraordinary. It is not only awarded to residents of the region but to other outstanding personalities from other parts of the world. Its prestige and moral credit are unquestionable. Ronnie first met with President Mikos through Karate back in 2001 when Aberdeen was host to the WKC World Karate Championships at AECC, where thousands of competitors from all over the world came to compete. The competition which had been organised by Ronnie and his team in Aberdeen was praised as a huge success by the WKC who said that it was one of the best competitions they had ever attended and that the hospitality of Aberdonians was second to none. President Mikos is a keen Karate man himself, and at 8th Dan is greatly respected throughout the Karate world as a former champion fighter and member of the WKC board. He had attended the Championships and was so impressed that he invited Ronnie to Slovakia to train his students. This September Ronnie flew to Germany and travelled to Slovakia with the President of the WKC and good friend Dr. Fritz Wendland from Germany where a surprise ceremony was organised during a 2000 mile European road trip on Dr. Fritz’s World War 2 motorcycle and side car. The pair had been talking about the road trip for years and Ronnie knew nothing about the award that was in store for him during the journey. 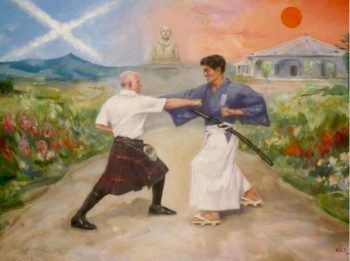 Ronnie has previously received recognition from the Emperor of Japan for his life’s work in karate with an ‘order of the rising sun’ an award seldom given to people outside Japan. This followed recently an OBE from her majesty the Queen and previously Ronnie has been recognised by Aberdeen City Council as their ‘Sports Personality of the Year’ on more than one occasion. 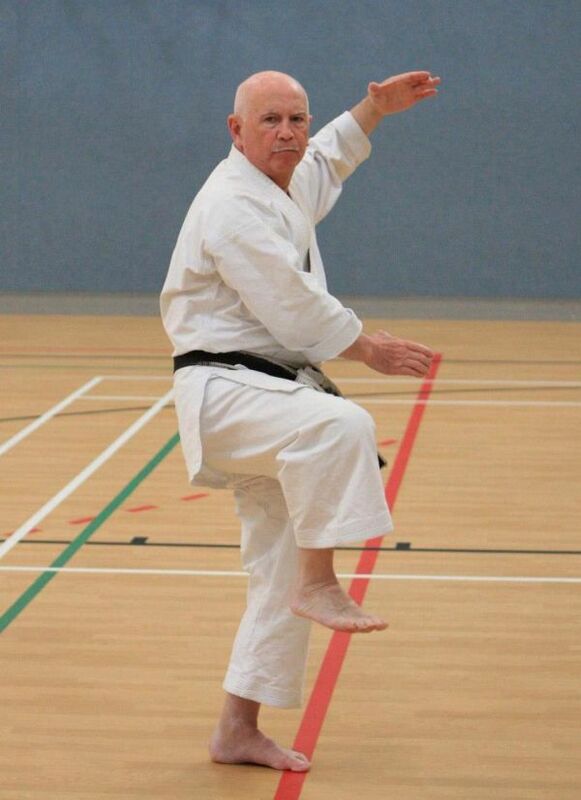 Now aged 67 years young, 8th Dan Black Belt Ronnie Watt still trains karate every day and teaches adults and children the traditional Shotokan karate discipline which has helped shape the karate that Aberdeen is becoming famous for in the karate world. Ronnie has helped tens of thousands of people progress through karate, and some of his students have gone on to win many competition medals including gold in world karate championships. Aberdeen’s own National Karate Federation have done it again. They represented NKF Scotland on the world stage during the open World Karate Confederation (WKC) Championships held in Munich, Germany on 24th and 25th January. While many of us folks back home were tucking into their traditional Burns haggis, the Aberdonian athletes were burning off the calories and fighting their way through some really tough competition. 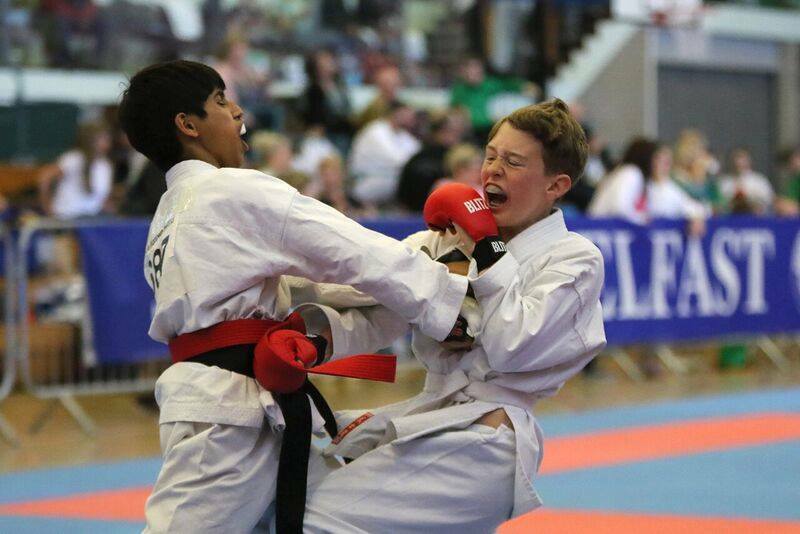 Facing over 400 competitors from 14 countries the self-funded NKF had some great results, against giant competition from the USA (who had some 400,000 karate students and government funding to draw from) and Russia who even had members of their military taking part. Invitations for the NKF squad to perform and teach Karate have been coming in from around the world. 25 MSP’s at the Scottish Parliament have signed a motion to formally thank the NKF. Many letters of congratulations from politicians and diplomats have been arriving on Ronnie’s door step. Aberdeen based NKF managed to bag an incredible 16 medals for Scotland. John McInnes (18) won silver in male Kumite (sparring) narrowly missing out on a gold due to being forced by judges to withdraw during the fight due to the blood flowing from his brow after a punch struck him, needing several stitches. Three sisters from Inverurie, Sara, Chloe and Lisa Calder took home an incredible 8 medals between them. Their father Jock Calder, (Senior NKF squad coach, 5th Dan) is very proud of them and after their hard training they have now taken a total of 18 medals at world championships, one being a Gold for Lisa Calder in 2006. 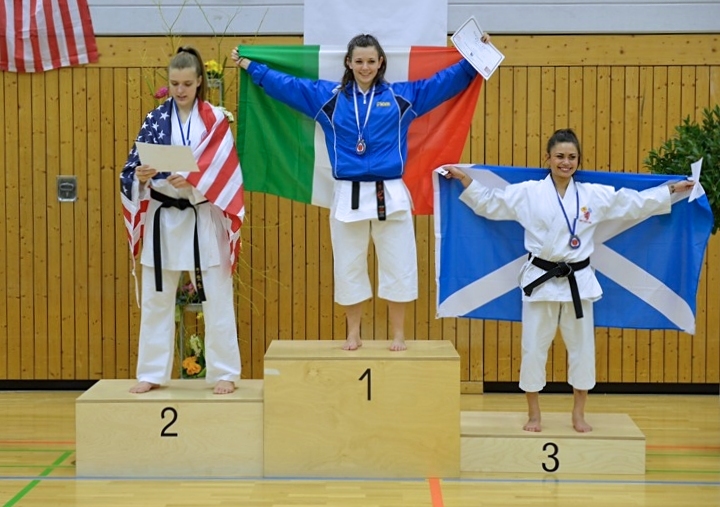 Sara (14) won a bronze medal in the kumite (sparring). Chloe (18) reached the finals for Kata winning a bronze medal and faced the Serbian champion in kumite where she won Silver. Lisa (21) reached fourth place in the seniors kata and faced the Lithuanian WKC world champion in the final and won silver. 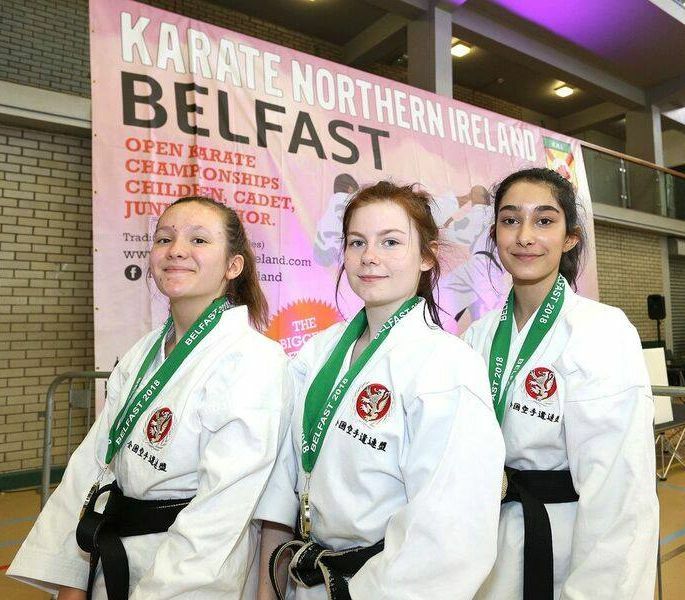 The two older sisters also took part in the team event for Kata along with Nissara Kirk, the team winning bronze in the kata and silver in the kumite. Hamish Barclay, John Willis, Mike Smialowski and Kai Thompson all performed well reaching the semi-finals in the individuals and fourth in the team events. In the examinations section, congratulations to Paddy Jamieson who was promoted to senior referee, Chris Davidson to Judge, Jock Calder 5th Dan and Roxy Watt 4th Dan who were promoted to senior coach. The NKF squad are back in training now and are aiming for success at the next festival. One which they will host themselves in Aberdeen in May. The International Karate Festival. 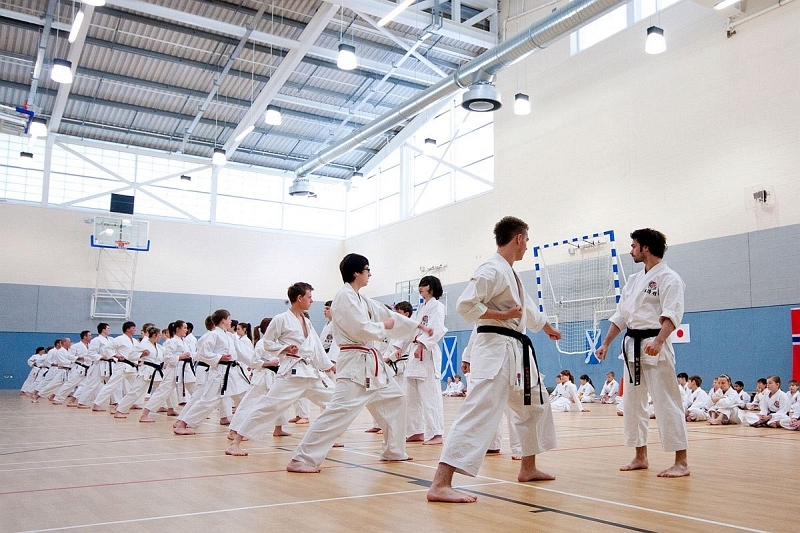 Anyone interested in training Karate should call Aberdeen 734607 for more information. The club meet in Aberdeen, Cults, Kintore and Inverurie. 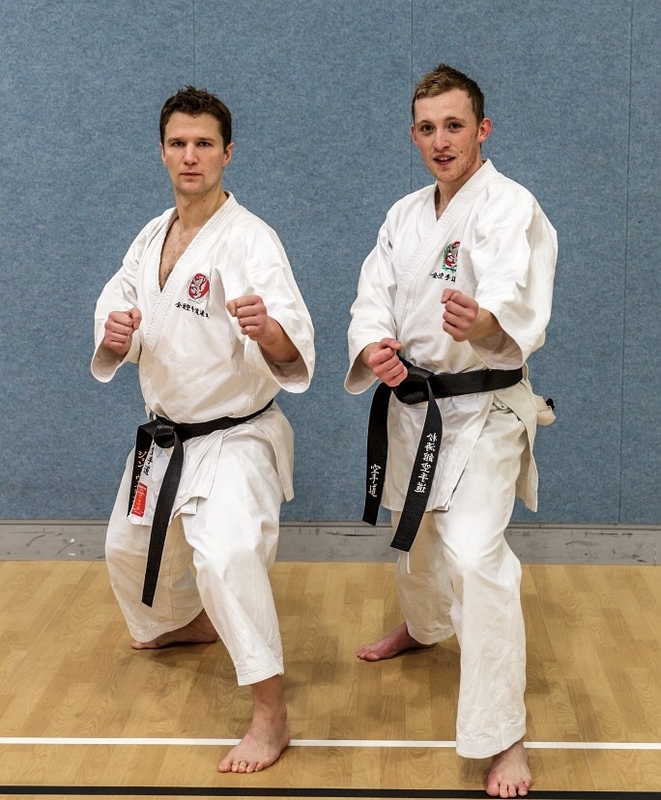 Aberdeen’s National Karate Federation (NKF) will compete in the International Open World Karate Confederation (WKC) Championships in Munich in January, and two members of the squad will take part in a daring fundraising event to help the club to pay for flights and accommodation. Kai Thomson and John Willis (pictured right) will jump out of a perfectly good airplane at 10,000 feet wearing only Kamikaze Bandanas… and jump suits! Aberdeen is famous for many things. The first thing that springs to mind is usually the Oil Industry. Add to that CAT scans, the development of insulin, the invention of partition chromatography, The Dons, Denis Law, Mary Slessor, the list goes on. Relatively few, however, are aware that Aberdeen is world famous for Karate and has produced its very own 8th Dan master, Ronnie Watt. 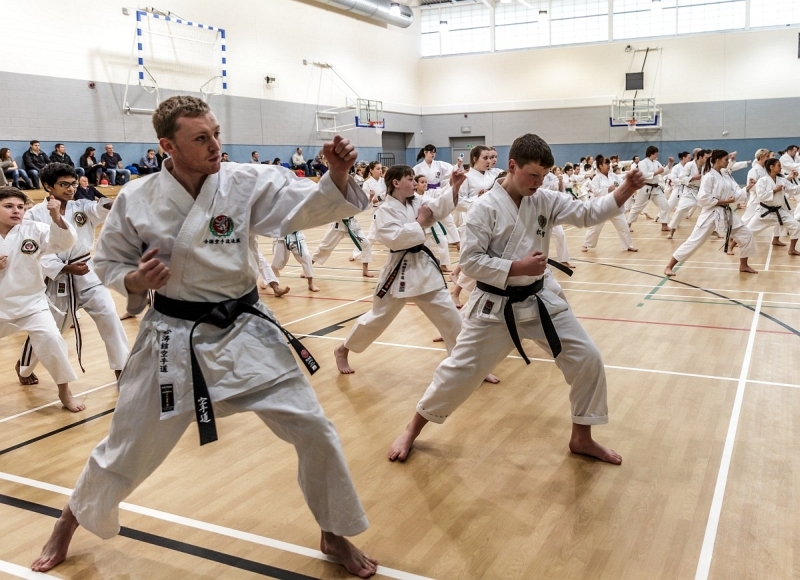 Under Ronnie’s guidance and instruction, the NKF Elite squad from Aberdeen, and the surrounding area, have been training hard in preparation for this prestigious Karate competition and will do Aberdeen and Scotland proud. The NKF are no strangers to the International Karate community. They have won medals in the past and in 2000 they hosted the WKC world championships in Aberdeen at the Beach Ballroom, bringing thousands of visitors, competitors and their families to the City. Being a private organisation receiving no funding from any government source, the success of the club shows great testament to the leadership of the NKF and the canny resolve and determination of its Aberdonian Karate-ka. The flights, accommodation, entry fees and extra equipment are all paid for by its members, and flying a squad over to Germany for the competition is no easy task, which is why Kai and John have volunteered to raise funds by way of a sponsored parachute jump. The daring spectacle will take place in Errol, on Saturday the 18th of January 2014, where the two Kamikaze Aberdonian parachutists are hoping to raise £5000. Any offers of sponsorship or donations from members of the public would be very welcome. Order of the Rising Sun; 8th Dan. Or… a special bespoke black NKF jacket, worn only by Black Belt NKF squad members with very special embroidered writing with their name on it and a special message. As one of the world’s highest awarded Karate teachers Ronnie is widely respected for his expertise in the Karate-do discipline and its way of life having trained Karate almost every day for nearly 50 years. Still training hard at 66, he is an inspiration to all who train Karate with him. 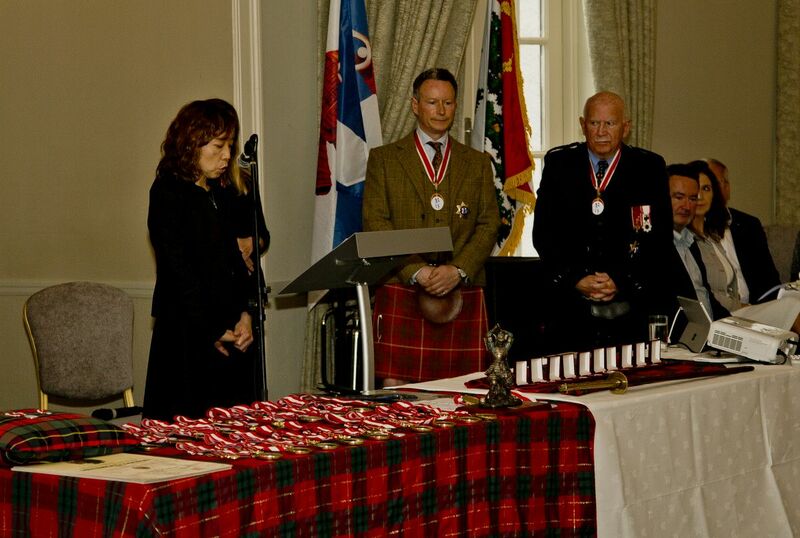 Ronnie is one of only a handful of Scottish people ever to be awarded the ‘Order of the Rising Sun’ by the Japanese government since Thomas Blake Glover. This is an award which is seldom given to people outside Japan. The award was quickly followed by an OBE from the Queen. There is a high demand for Ronnie’s Karate experience and he is often seen on the top billing of many Karate courses worldwide. 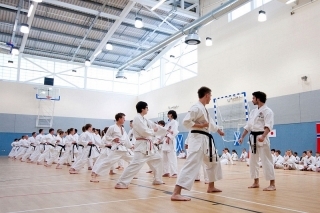 Anyone wishing to train Karate with Ronnie at the National Karate Institute can call 01224 734607 or visit the website http://www.karate-scotland.info/ for more information.